Richard Herley: What’s Your Excuse? This is a seemingly straightforward article about the benefits of wearing a helmet when cycling. The author adduces various examples of cyclists having their heads bashed in and lectures us on the irresponsibility of going helmetless. The article is worth a few minutes of your time, but the comments are worth more. As you’ll see, nothing in this life is straightforward. After the introduction of a helmet law in Australia, apparently, cycle use declined, as did injuries to cyclists; but the proportion of head-injuries rose. Maybe that was because a newly helmeted cyclist feels himself less vulnerable and more prepared to take risks. This last contains the nucleus of the argument. First, the woman’s eating habits have put her health at risk and placed a possible future burden on the state. Secondly, her choice of personal transportation is spewing pollutants into the atmosphere. If she swapped her SUV for a bike we might all be better off. The reason that this argument, and others like it, rages is simple. Once a government provides healthcare, it has purchased, with your money, the right to lecture you on how to minimize risks to your health. By extension, other taxpayers (such as the woman in the SUV, or the author of the article) have also purchased the right to nanny you. The harangues delivered are partial, contentious and poorly researched. Smoking and drinking are obvious targets, whereas other risky behaviours, such as the the reckless replication of genetic defects, are currently ignored. Now that smokers have been demonized, the next target will probably be fatties, even though evidence is emerging that much obesity is the result of addiction mediated by self-generated drugs such as dopamine and adrenaline. After that, your guess is as good as mine. There are some things that only governments can do, but there are many other things that governments also do and that they should not. The typical career politician today has never had a job in the real economy; has gone straight from law-school or university into some position as policy wonk or PR stooge. Such a creature, once elected, can then be given control of the ministry governing healthcare. All a politician in office cares about is promotion; or retaining that office. The health of the citizen is necessarily a secondary concern. I speak from personal experience of a lifetime’s exposure to Britain’s National Health Service. In Britain, where healthcare is sponsored by the state, the individual’s responsibility for himself is lessened. If we had to pay directly for healthcare we might think twice about indulging in certain behaviours. 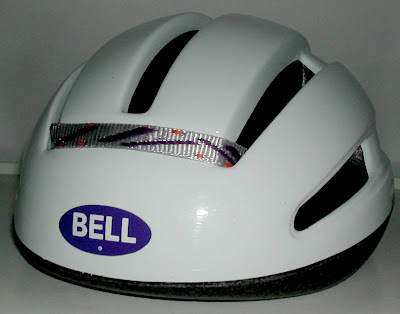 Anyhow, I shall continue to wear my cycle helmet, not because anyone tells me to, but because I have followed the arguments pro and con, and have decided that, for me, pro wins out. But (as one of the commentators points out) a “bicycle mirror is far more beneficial than a helmet.” Amen to that! I have a mirror on each of my two bikes, and have lost count of the times they have saved my bacon. That’s my choice. Yours may differ, and amen to that too. Just found your site and already I'm digging the way your mind works. Probably because mine works similarly. Which means you're wicked smart and stuff, yo. A spike in injuries following safety laws is not uncommon. When seat belts became mandatory, the accident rate increased. The security felt by the driver led to them taking higher risks... which leads to more accidents. But that's not limited to civilians. When race car drivers get new safety system upgrades, they wreck more. But there's more. I can't recall the details so I'm gonna wing it. There was an intersection in some town that was nortorious for the amount of accidents that took place there. They put up signs, more lights, everything they could think of and nothing worked. Willing to try anything at that point, they REMOVED all traffic signs, lights, anything one would expect to find at an intersection. What do you think happened? No more accidents. By baby-proofing the world what people become passive and less able to react to a dangerous situation. It sounds crazy at first, but makes a bunch of sense when you think about it. Are you gonna go blazing thru a crowded intersection just because there's no sign telling you to stop? No, and neither will anyone else. You'll both slow and pick your way thru... using both the gas and brake as needed. I'm a motorcycle rider... always with a helmet. I will never ride without one. But I despise helmet laws. Just cause I think you're an idiot, doesn't mean you must stop exercising your right to be one. Noelemite, welcome! You're probably thinking of Hans Monderman, the Dutch traffic engineer. His ideas have been tried out in various places, Drachten in Holland being the first. An account of what happened at a small German town is here. Monderman said: "When you treat people like idiots, they’ll behave like idiots." Couldn't agree more!